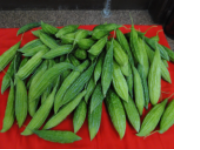 It is a tropical type with long red roots having self coloured core and obtriangular shape. 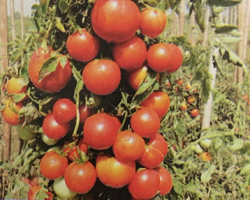 It is suitable for sowing from mid September to October. The roots are ready for harvest during middle of December. Average yield is 30.0 t/ha. 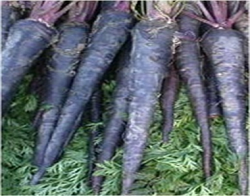 It is a tropical type having long black roots with self coloured core, suitable for sowing from September to October. The roots are ready for harvest during December-January. 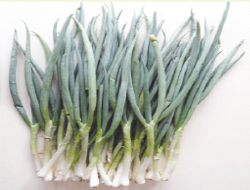 Roots mature in 90-110 days and average yield is 25 t/ha. 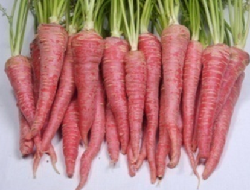 First public sector tropical carrot hybrid developed using CMS system and released by Delhi State Seed Sub -Committee during 2013. 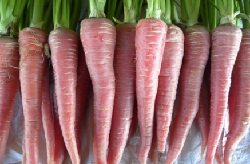 Roots are smooth, attractive, vigorous, self-coloured, red, juicy, rich in total carotenoids, lycopene, TSS and minerals. Suitable for salad, juice extraction, cooking and industry for carolenoid extraction. Maturity 80-90 days. Average yield 40.0 t/ha.